Board of Regents Chair Kessel Stelling Jr. and University System of Georgia (USG) Chancellor Hank Huckaby have announced the name of the finalist for the Georgia Southern University presidency. 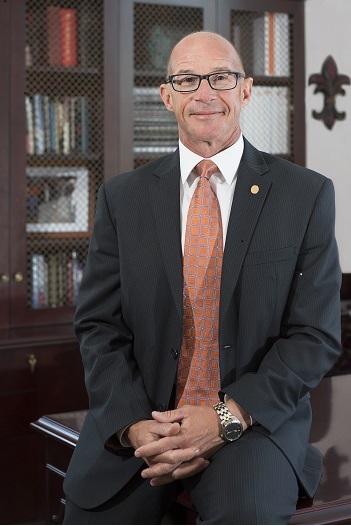 The recommended finalist is Dr. Jaimie Hebert, provost and vice president of academic affairs at Sam Houston State University in Huntsville, Texas. Hebert has a doctorate, a master’s and bachelor’s degree in statistics from the University of Louisiana - Lafayette. He served as dean of the College of Arts and Sciences at Sam Houston State University from 2005-2011. He has also been an assistant professor at Sam Houston State University and Appalachian State University. The Board of Regents is expected to name the next president of Georgia Southern University at a future meeting.